Koigu Wool Designs has a history as bold and unique as the yarns and colors they produce. The name Koigu was chosen to honor the ancestral home of Maie's late husband, Harry, which is located in their native Estonia. The farm that now serves as the Koigu headquarters was purchased by Maie and Harry Landra in 1972. It was to be their weekend home located a few hours outside of Toronto, a much needed escape from the hustle and bustle of city life. Ten years later, however, Maie moved her family to the country permanently to follow her destiny as an artist and purveyor of fine wools. In the early years, the farm was home to Maie, Harry, their three children, Karl, Karin, and Taiu, and of course, a flock of sheep. Though she knew next to nothing of raising sheep at the time, Maie was quick to learn. At the beginning, Maie used her home grown fleece in her elaborate, woven tapestries. However, with so many textures and colors to explore -both natural and dyed- Maie found that knitting was a quicker means to an end and her needles soon began churning out sweaters and swatches of her colorful woolen creations. 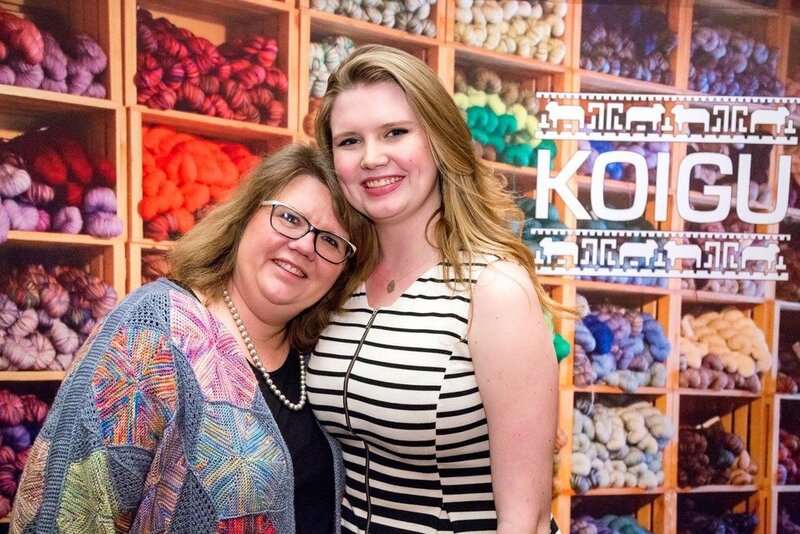 Koigu has added several additional yarns to compliment their Premium Merino over the years: Kersti, a DK weight crepe, Sparkle, Mori, a silk and wool blend, and Lace. Most recently heavier weight merino yarns, Koigu Othello and Chelsea were added in a small selection of colours alongside luxury wool and silk blend Koigu Emmi and 100% silk Karmen. While demand is as high as ever, the Koigu yarn is still painted, hanked, labeled and shipped by the Landra women and a small handful of local employees. While they use the efficiency of machines where they can, every skein sent out into the world is lovingly painted by hand and is a truly unique work of art.